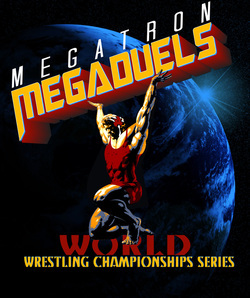 ﻿﻿﻿﻿﻿﻿﻿WAIVER FORM: All wrestlers must have a SIGNED WAIVER FORM by parent or legal guardian to participate in any MEGATRON EVENT. Modified National Federation High School Rules (minimum rest between matches and maximum # of matches per day not in effect) Hair code and fingernails will be enforced by referees. Hair cover must be with wrestler at weigh-in. Head gear not required. Must make weight in competition singlet! All duel rosters must be received (email) by: Tuesday of the event. All Teams must register/Pay in Full on Trackwrestling.com by April 7. $100 Penalty for late full payment! Sun. 8-9AM must make weight on sunday, no bumps. ONE WEIGH IN GOOD FOR BOTH DAYS! Round robin or bracket for each division. Pre-Registration entry deadline is April 6, Late entry after with penalty. $30 FEE to bump up a weight at weigh in Friday and Saturday only! No weight change or bumping/changes on Sunday! ONE WEIGH- IN GOOD FOR BOTH DAYS! For brackets, double elimination--round robins also available. Referee decisions final. Competitors will have until April 11 to make changes to weight classes with no penalty. $30 FEE to bump up a weight at weigh in Friday and Saturday only! NO weight changes/bumping up allowed on Sunday! BEGINNER DIVISION (FIRST YEAR OF WRESTLING, division is for kids that are "new to wrestling".. Anyone found to be trying to cheat as they do not belong in this division will be removed from the tournament with no refund. All champs through 3rd place will receive a 3" medal. College out of bounds rules apply. 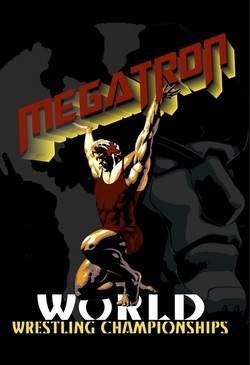 ​Discount online tickets available through Megatron!